On August 26th, 2016, Undersheriff Randy Peshon of the El Dorado County Sheriff’s Office was re-appointed to the Judicial Council Collaborative Justice Courts Advisory Committee by Tani G. Cantil-Sakauye, Chief Justice of California and Chair of the Judicial Council. Undersheriff Peshon was again nominated for this prestigious position by El Dorado County Superior Court Presiding Judge Suzanne N. Kingsbury. The Collaborative Justice Courts Advisory Committee is a crucial committee among the ten committees serving the Administrative Office of the Courts. One Law Enforcement representative appointed by the Chief Justice of the California Supreme Court sits on this advisory committee. Undersheriff Peshon has served in this capacity for the past three years. The Administrative Office of the Courts is structured to provide recommendations for improving justice administration and it serves as the staff agency for the Judicial Council, which is the constitutional policymaking body of the California Courts. The agency is organized into nine divisions in San Francisco, two divisions in Sacramento, and three regional offices with a staff of more than 900 serving the courts. 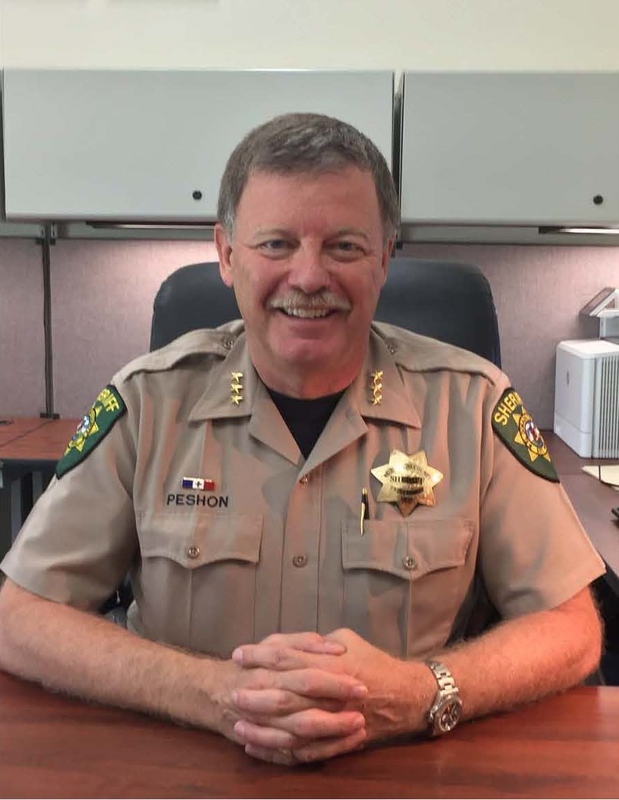 Undersheriff Peshon’s law enforcement career has spanned over 38 years, between the El Dorado County Sheriff’s Office, the United States National Park Service, and the East Bay Regional Parks Police Department. His assignments include patrol, custody, detectives, search and rescue, courts, and the dive team. Peshon has served as Undersheriff since January of 2015. Peshon is a graduate of the University of California, Berkley. His leadership training includes being student, facilitator, and auditor of the Peace Officers Standards and Training (POST) Sherman Block Supervisory Leadership Institute, a graduate of the POST Command College, and the prestigious FBI National Academy in Quantico, Virginia. Sheriff D’Agostini said “I am again extremely proud of Undersheriff Randy Peshon’s reappointment to this very important committee, which has state-wide impacts. Randy is a recognized leader and expert in the court and corrections field”. Undersheriff Peshon’s appointment becomes effective November 1, 2016 and ends on October 31, 2019.